Praise Leads to Cheating? How so? Posted September 24th, 2017 by Mike Boyes & filed under Altruism Prosocial Behaviour, Human Development, Learning, Moral Development, Social Psychology, The Self. Description: Ok here is a “simple” question. What are the effects of praise (parental praise delivered to children) on those children’s moral development and their moral behaviour? 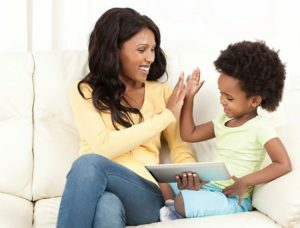 Put more specifically, are children who are praised more or less likely to cheat if given an opportunity? What is your hypothesis reading the nature of this relationship? Ok and yes, I know, it depends. But upon what factors does it (your answer to the question above) depend? A good psychological researcher is as quick, or quicker, with hypothesis caveats than direct question answers. So, once you have yours sorted out read the article linked below and see how your hypotheses fared. Source: Praising Children May Encourage them to Cheat, Talking Apes, David Ludden, Psychology Today. So how did your hypotheses, caveats and all, fare? Was the type of praise offered something that occurred to you? Did you think about how you might test your hypotheses? Did the research discussed make sense as a test of the questions at hand? Finally, have you heard about the work on “growth mindset”? it seems to fit here and is worth thinking about in relation both the parenting AND in terms of your own performance in academic and life challenge settings. What is the relationship between praise and cheating in elementary school children? The previous question asks for a pretty general conclusion. What else should we consider if we are to properly answer that question? What sort of parent and teacher advice might arise from an applied developmental consideration of the research discussed in the Article linked above?